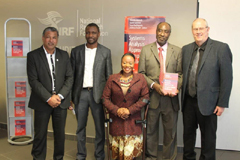 The Southern African Systems Analysis Centre is a multi-year initiative developed by South Africa’s National Research Foundation (NRF) and the Department of Science and Technology (DST) as part of its membership of the International Institute for Applied Systems Analysis (IIASA). SASAC stands for the Southern African Systems Analysis Centre. 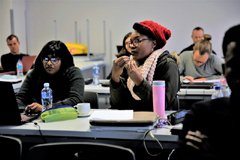 It is a multi-year initiative developed by South Africa’s National Research Foundation (NRF) and the Department of Science & Technology (DST) as part of its membership of the International Institute for Applied Systems Analysis (IIASA). Although not part of the original proposal, SASAC introduced a two-week inception in 2017 as an early welcome to the programme for students for students who have been selected as recipients of a SASAC scholarship. 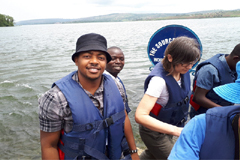 By 2018, SASAC had recruited three cohorts of doctoral students. These are Cohort I: 2016-2018, Cohort II: 2017-2019, and Cohort III: 2018-2020. Below are short profiles of the students from the respective cohorts as well as profiles on their supervisors.